Some of the most common unwanted growths that you see on roofs are moss and fungus. At a base level, having these growths on your roof can make your home look neglected, which can in turn lower its value and reduce its curb appeal. You will first start to notice moss and fungus as dark streaks on your roof. Though it may seem like there is not much, keep in mind that these organisms can spread very rapidly. OSHA is now requiring all residential contractors that work at heights of six feet and above to provide a fall protection plan, training and proper fall protection equipment to their crews. If OSHA finds them not in compliance, the roofing contractor can face steep fines and work stoppages until they can become compliant. Residential contractors can attend fall protection training to get certified and understand the requirements. 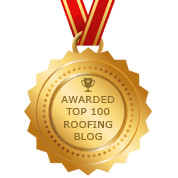 Your roof is arguably one of the most important aspects of your home. Aside from being one of the most visible parts of a homeâ€™s exterior, the roof functions as your essential barrier from all of the elements. Whenever everything is in good shape, this means that your home stays cooler in the summer, warmer in the winter and dry when it rains. A damaged roof can lead to annoying issues, further damage and unwanted exposure to the weather. Read more on how to avoid these 10 common roofing mistakes.